Yves Bolduc says some specialist doctors are inflating wait lists and encouraging patients to use the private sector. The Health minister is accusing some specialist doctors of keeping wait lists long and pushing more patients towards private clinics. The average wait time for surgery in Quebec is less than six months, but Yves Bolduc told CBC reporters Monday that some specialists are exploiting the system for profit. "What we see is that a few doctors who have the longer lists, have a private practice," he said. Bolduc said doctors are dragging their feet because they are paid more to treat patients in private clinics. Patient rights' advocate Paul Brunet agrees with Bolduc. He said the practice has created a two-tiered system. "Those who don't have the means, have to go back home and wait on the list," he said. 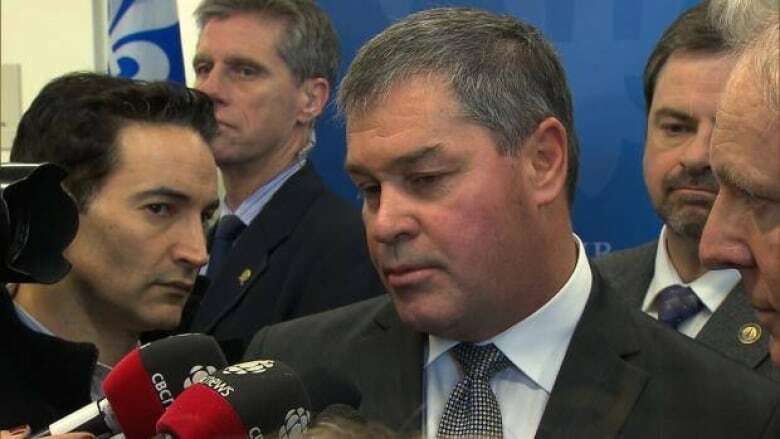 Gaétan Barrette, the head of the province's association of medical specialists, said he is considering legal action if the health minister can't prove his claims. "This is one step shy of defamation," he said. Bolduc said he will work closely with Quebec's College of Physicians to comb through waiting lists for irregularities.